Very cool. We stumbled upon this short overview video this morning of the exhibit “Made in Chicago” featured at the Edgewater Historical Society from May 18, 2017 until April, 2018. This exhibit is part of an online museum, madeinchicagomuseum.com. The narrator is the owner of the collection and the curator of the exhibit, Andrew Clayman. Did you know of the 1.19 million residences in Chicago, 302,000 are single-family detached homes and just two of those have their own private pieces of the Lake Michigan shoreline? A neighbor on Hood Ave just sent in this article about one of these last two remaining houses right here in Edgewater (5965 Sheridan – between Glenlake & Thorndale). Thanks for digging this up. Pretty cool! 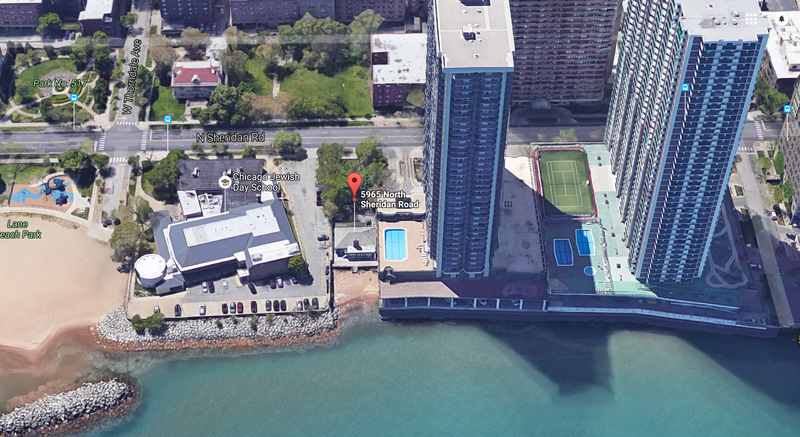 “This is probably the better known of Chicago’s two lakefront homes simply because it has so many neighbors. It’s wedged between the 39-story Malibu Condominiums and the Emanuel Congregation’s parking lot. In the 1960’s a flurry of skyscraper construction swept away a number of neighborhood mansions, replacing them with apartment towers. Until the 1960’s, the Malibu tower’s location was a two-story mansion that served as the local headquarters for the Mormon church. The house at 5965 is set back quite a distance from Sheridan Road, so you may not have seen it unless you once peered down its long, circular driveway. Curious about the backstory behind everyone’s favorite antique shop in the neighborhood? Danny Alias was recently featured on American Dealers. American Dealers is a web series that explores the unique world of antique dealers across the nation. They are currently traveling the nation capturing the stories of antique and vintage americana dealers on film. 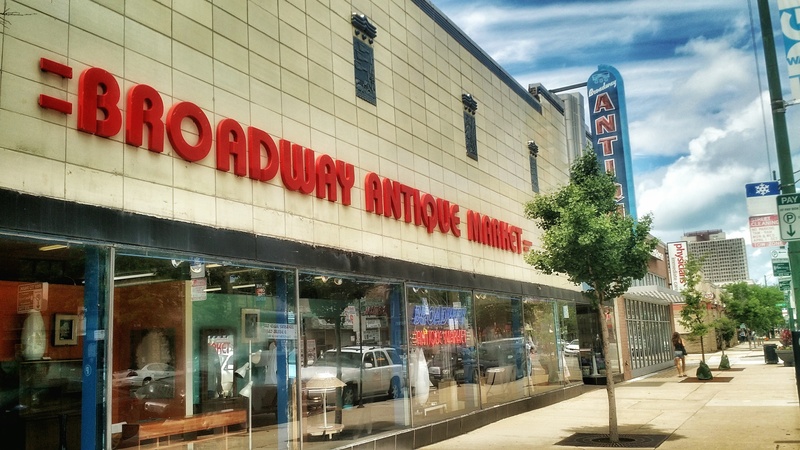 They recently came to the neighborhood to interview Danny about how the Broadway Antique Market was founded and what it’s like operating one of Chicago’s most successful antique malls right here in Edgewater Glen. Check it out! Clark Street in Chicago’s Andersonville neighborhood is decked out with large historic photos commemorating the 50th anniversary of the community naming itself “Andersonville” and its rededication to its Swedish roots. 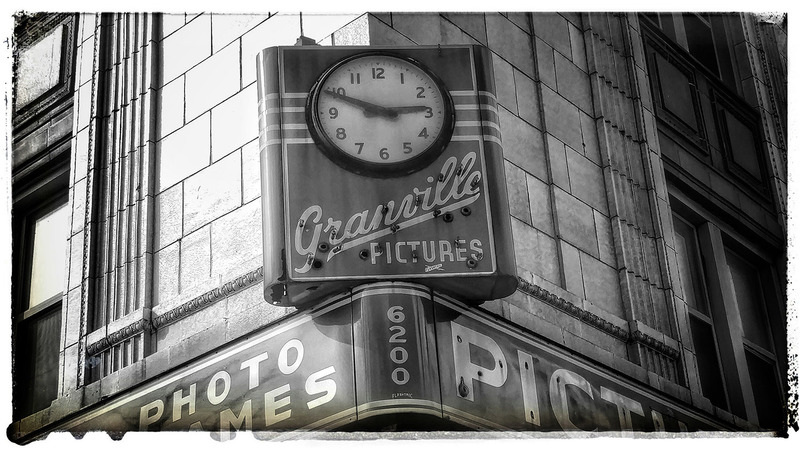 In storefront windows throughout the commercial district, over 200 distinct images are on display, showcasing the businesses and people of Andersonville in 1965 and celebrating the vibrant community Andersonville remains today. “Andersonville” was named by a group of local business owners who sought to bring new attention to the commercial district by renewing their commitment to the area’s Swedish heritage. Andersonville was dedicated in a ceremony attended by Mayor Richard J. Daley and Governor Otto Kerner. The name came from one of the neighborhood’s early institutions—the Andersonville School—which stood at the southwest corner of Clark and Foster. As it was 50 years ago, Andersonville’s commercial district is still comprised almost entirely of locally owned, independent businesses whose owners live in or near the community. Andersonville has received national acclaim for its unique, vibrant main street. 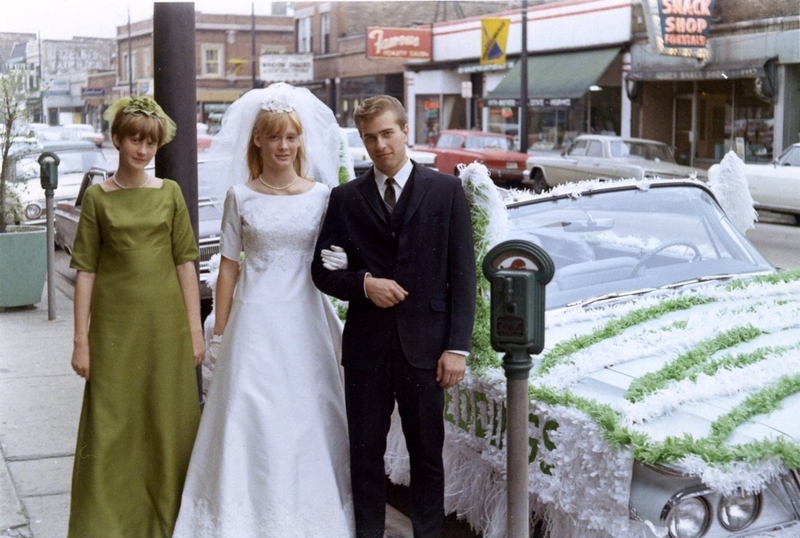 The “Flashback 1965” images were culled from a variety of sources, including archives from the Andersonville Chamber of Commerce, Chicago History Museum, Edgewater Historical Society and business owners and residents of the neighborhood. The campaign was created by a coalition of local business owners (with special thanks to Women and Children First Bookstore, Painted Light Photography and Framing Gallery, and Room Service) and residents, in collaboration with the Andersonville Chamber of Commerce. The exhibit will be up through the end of August. 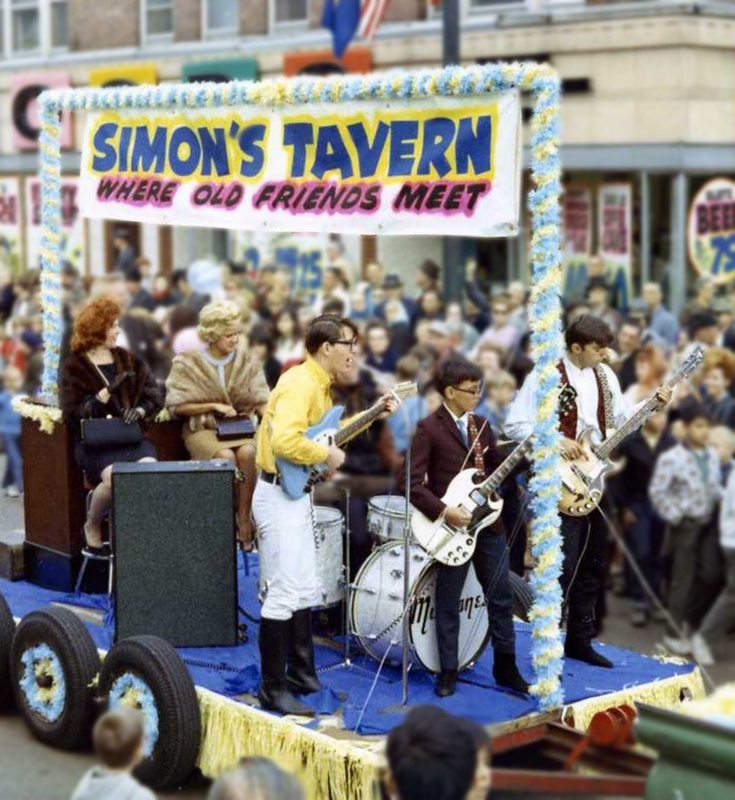 Check out this video footage of the 1968 Andersonville Parade. “Wiggo Sterlov leads Andersonville community parade of clowns, marching bands and colorfully costumed marchers. Children and adults jammed sidewalks in annual north side event. More than 3,000 persons turned out for the parade on a warm fall day to watch as a variety of local organizations, including the Nisel Ambassadors, Medinah Temple Clowns, Scandinavian athletic clubs and choral groups marched along Clark street from Ainslie street to the reviewing stand at Berwyn avenue and Clark street. Scandinavian costumes and Viking garb provided color for the parade as visitors to the community stood on the sidewalks and their children sat on the curbs to watch the procession pass by. If you would like to help with our Edgewater Glen Storefront History Research Project this summer, please contact LeRoy Blommaert at the Edgewater Historical Society so he can give you an “assignment”. We (over here at EGD) are going to be focusing our efforts on Edgewater Glen initially but we are sure he can find you an assignment in another area of Edgewater if that is of interest to you. The Edgewater Historical Society is conducting a huge project to record the history of all the storefronts in Edgewater. With your help, we thought it would be fun to try to gather information about all our Edgewater Glen storefronts to share with the neighbors here. If you, or anyone in your family, is interested in helping research our neighborhood history we’ve included instructions & downloadable forms for recording the information below. The archives are available on line and can be accessed from any computer; however, you will need a current Chicago Public library card. Note: access will be blocked if you owe any fines and have not paid them. The goal to find evidence of every business that occupied a storefront and when it opened and when it closed. That’s the goal, but it is not one that is likely to be achieved for most storefront addresses. Not all businesses advertised in the Chicago Tribune and even when a business did it was rare that it gave it’s opening date or its last day. What is hoped for is an approximation. It is not necessary to record every time there is a reference for a given business at the same address. What you want to record is the first reference and the last. To avoid unnecessary searching, it is suggested that you look on our website for the information we already have for the addresses that you have agreed to search and that you print it out for the range of address you have agreed to search. Go to “local history,” then “businesses.” then “storefronts.” Go the street you want and highlight the addresses you have agreed to search. (Note: if you agreed to do only one side, you still need to select the full range). After you have highlighted the range of addresses, right click to “copy.” After you have done this, open a blank word document and the paste the highlighted material into it. Save it to a document you name; then print it out so you will have it next to you as you do your searches. Let’s say you have agreed to search 5200 to 5240 Clark. Suppose our website material shows just two citations for 5202 Clark, one for the ABC hardware dated 3-5-1925 and another for ABC hardware dated 10-6-1932. Now you know you can skip any Chicago Tribune item between these two dates. Let’s say there were four citations: the above two plus one for Jake’s Restaurant dated 5-4-1940 and other for Jake’s Restaurant dated 9-1-1945. You can again skip responses between these second two dates; but you will want to check out the items between 10-7-1932 and 5-4-1940, as well as before 3-3-1925 and after 9-1-1945. Once you find “A-Z Resources” and you open that page, you will get a page with letters A to Z. Click on “C”; then scroll down to find Chicago Tribune. The Tribune archives are divided into two groups: the historical and the current. The historical is from the beginning of the newspaper through 1985, though sometimes it is through 1990; the current is from 1986 through the present. Start with the historical archives. When you click on this group, you will be asked for your library card number and your zip code. If you are using your own computer, check “Remember me on this computer.” Doing this will eliminate your having to enter your library card each time you come back to do a search. You will still have to enter your ZIP code each time however. The search page gives you the option of selecting the order in which the items responsive to your appear. Select “Oldest First” and then click on that option. That option is to the right. The search page also gives you the option of limiting the search to items before a specific date, or after a specific date or between two specific dates. For your first search of an address ignore this selection. But suppose for example, you don’t have enough time to do a search of a specific address from beginning to end. Then this feature comes in handy. When you come back to the website you can just select only those responses after the date of your last one, and won’t have to go back to the first response and scroll to where you left off. Classified Ads are the most difficult to search. What you will get is a full page of ads. Unfortunately, the wording of your search is not highlighted in yellow or some other color. Hence you will have to check hundreds of ads on the page to find the one responsive to your search. What you will get when the page first appears is many ads in very, very small print. However, since all the pages responsive to searches are PDFs you can increase the magnification. Go to the top and where is shows a percentage, such as 100% and then scroll down to increase the number to a higher percentage. You will then be able to read the print more easily. Because of the tediousness and length of time it takes to review a classified ad page, it is best to just ignore these, except in special circumstances. Suppose that the first item responsive to your search s a classified ad dated January 12, 1931 and then you find a display ad dated November 10, 1931. In this case it would not be necessary to go back and look at the classified ad because it is likely that the business identified in the classified ad is the same as the one in the display ad. However., suppose the next display ad was March 10, 1950, then it would be good to go back to that first classified as the business in the display ad is probably not the same business that appeared in the 1950 display ad. Display ads are probably the best sources to find storefront businesses. Sometimes the display ad is just for the business at the address of your search. Other times it is an ad produced by some company that is advertising a product and the ad lists all the places where one can buy the product. This often represents a bonus as it may well include other Edgewater businesses in addition to the one responsive to your search. Write down these other businesses as well. Helpful hint: When you open a display ad, go to the top and reduce the magnification so you can see the entire page and you can determine where on the page the ad you want is located. Once you do that, increase the magnification so you can better read the print. General Stories are also often helpful. For commercial addresses they usually relate to some event that took place at the address. Often is it a crime—a robbery or a shooting or some white collar theft. The heading of the story that appears on the page can be misleading. It is the heading for the first item in a group of stories; the first story may not be the one that is responsive to your search. You have to read all the articles on the page. Obituaries. Unless the storefront address of your search is a funeral parlor, the address is that of a place of business owned by one of the deceased or (less likely) where one of the deceased worked. Again, unfortunately, you will have to read through all of the obituaries to find the one responsive to your search. You have two options. You can record the information by hand; or you can record it on line as you find it. If you want to record it by hand use the word document the historical society has provided; it is formatted as a table. You will need to print it out—several copies; or you can make copies if your machine also is a copy machine. Ideally, you should print rather than handwrite the name of the business. Unless the type of business is obvious you can skip making an entry in the type of business column. Don’t forget to record the date. If you want to record the information on line, you can use the excel spreadsheet provided. This option is preferable from the historical society’s standpoint, as then all they have to do is merge your spreadsheet into theirs, as opposed to typing in the data that you found. If you use the spreadsheet, for the address number you will need to enter the number twice if the address is but one number, e.g. 5202-5202. If the storefront has two or more digits enter the first and the last, e.g. 5202-5204. Also, record the date of the Chicago Tribune item in the column “Survey D.” You can skip the other columns to the right of “Survey D.” If you use the spreadsheet, use the save button periodically, to minimize the possibility of losing data. We thought this historical gem might be of interest to some of you. LeRoy Blommaert over at the Edgewater Historical Society identified two of our earliest houses in Edgewater Glen and provided this great write up included below. “Edgewater’s Edgewater Glen neighborhood is comprised of several subdivisions – six to be exact. 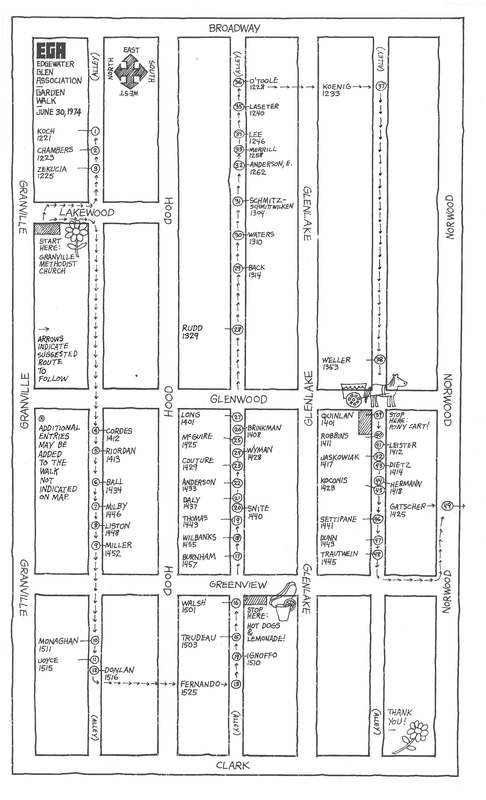 The area west of Glenwood was part of the Henry Kransz farm and was developed considerably later than the eastern half – in 1903 and 1905 and by Henry’s descendants. The area east of Glenwood was developed by four different developers. One of those was Edgewater’s founding father, John L. Cochran. His subdivision, which was his fourth [and last] addition to his original Edgewater subdivision, is bounded on the south by the north side of Elmdale and on the north by the alley north of Norwood. Glenwood is the western boundary and Broadway the eastern. 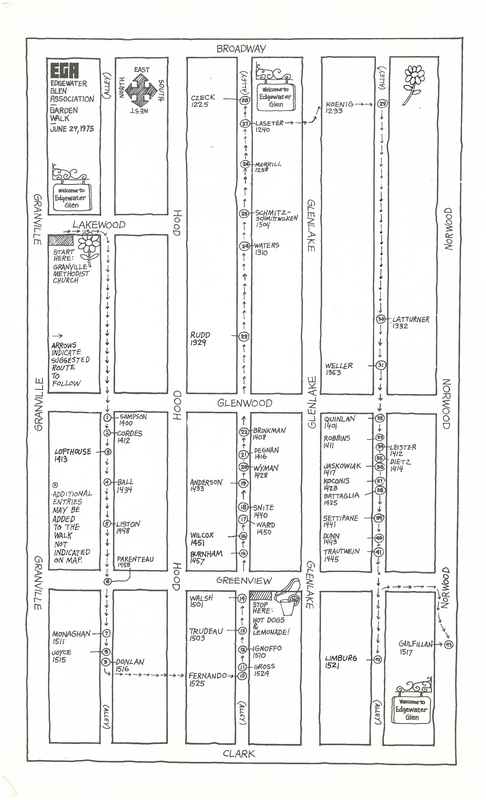 This subdivision was recorded with the Cook County Recorder of Deeds on August 13, 1893. If you would like to help research the history of our Edgewater Glen storefronts feel free to get in touch. The Edgewater Historical Society is currently undergoing a HUGE project to catalog the history of every storefront in Edgewater with the help of neighborhood residents. 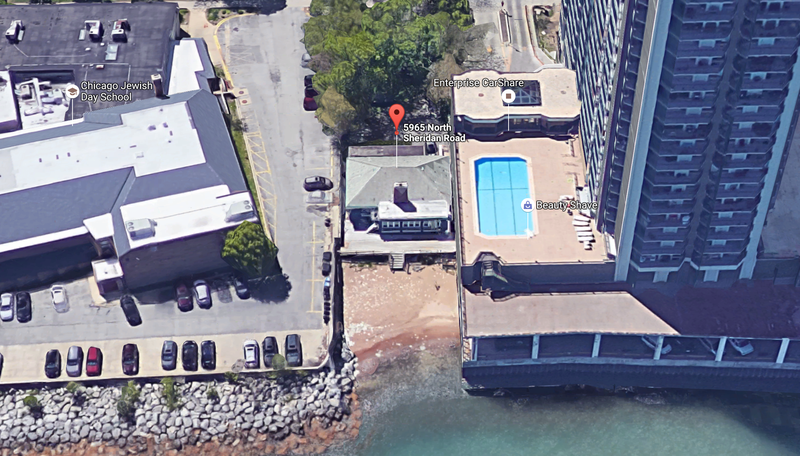 We would be happy to send instructions to you on how to find Edgewater storefront information using the Chicago Tribune Digital Archives if you would like to help out. In the coming weeks we will be starting a project to catalog the history of all the storefronts in Edgewater Glen and post any information we find out here for anyone who is interested. We could certainly use a hand! We thought this might be fun for some of our long time residents & neighborhood history buffs. Here are a few hand drawn maps showing the Edgewater Glen Garden Walk route in 1974, 1975 & 1978. 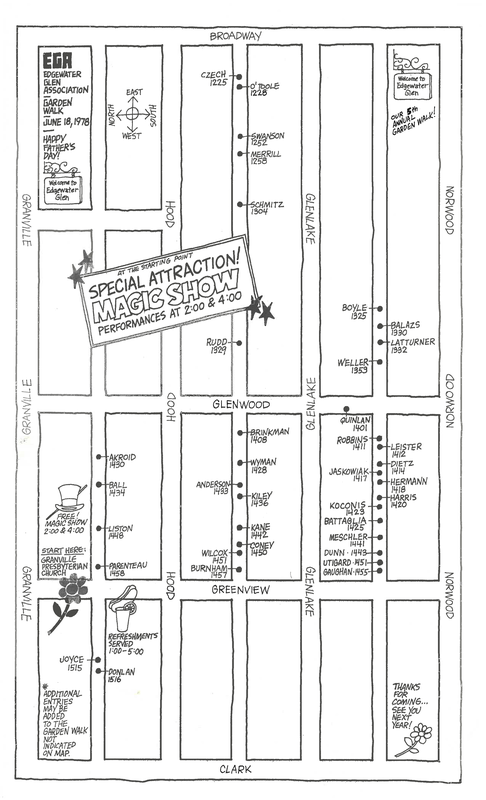 You can see where all the hot dog stands, pony cart rides and magic shows were along the route. If you are interested in participating this year “Don’t be bashful! 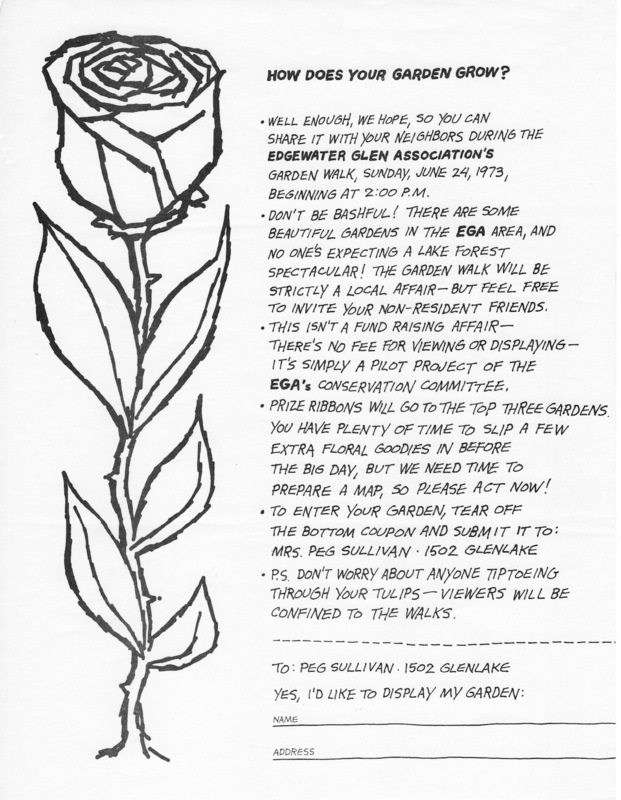 There are some beautiful gardens in the EGA area, and no one’s expecting a Lake Forest Spectacular!” (1973 Flyer). 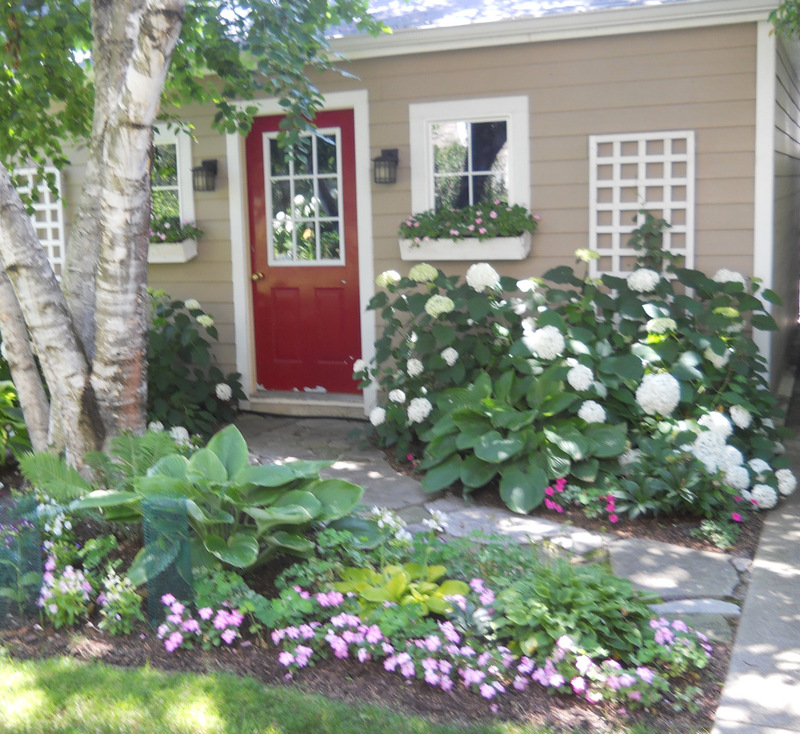 This year the Edegwater Glen Association’s ‘Gardens of East Edgewater Glen’ Garden Walk will be Sunday July 12, 2015, noon to 5pm.